World-class recreation right at your doorstep! 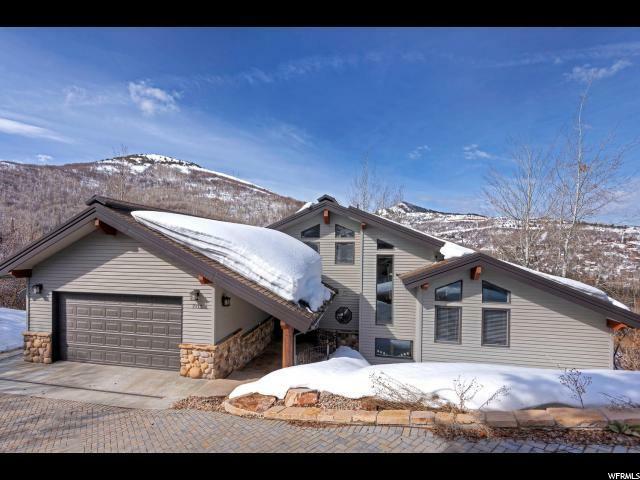 This Pinebrook home is situated just minutes from historic Main Street Park City. Salt Lake City is easily accessible too! Find out what all the fuss is about. People travel from all over the world to ski world-class Deer Valley (ranked #1 Ski Resort in North America year after year) and Park City Resort (now part of the epic group of resorts owned by Vail Associates) and participate in its many cultural events (like the star-studded Sundance Film Festival). Experience four distinct seasons of the grand surrounding mountains. Yes, this must be what paradise is like! 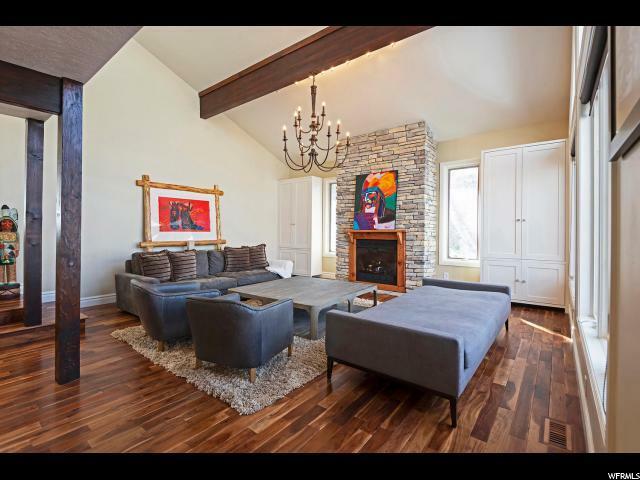 The contemporary architectural details and finishes throughout this home are stunning. The setting is private and serene. 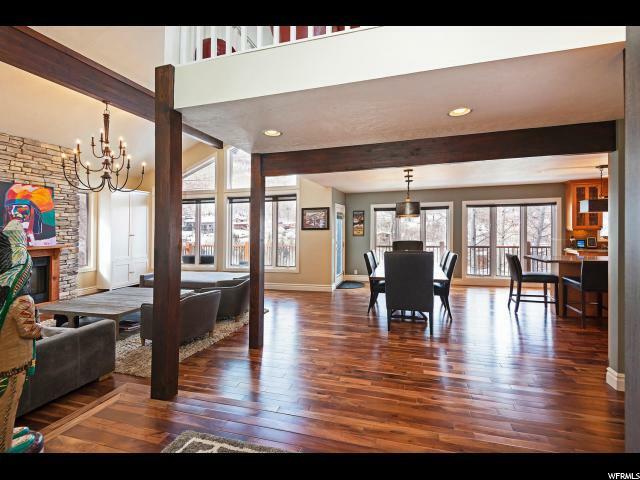 The moment you step into the massive great room with brilliant hardwood floors, you will fall in love. Vaulted ceilings prevail, including in the master bedroom and are a metaphor for the grandeur of the mountains. 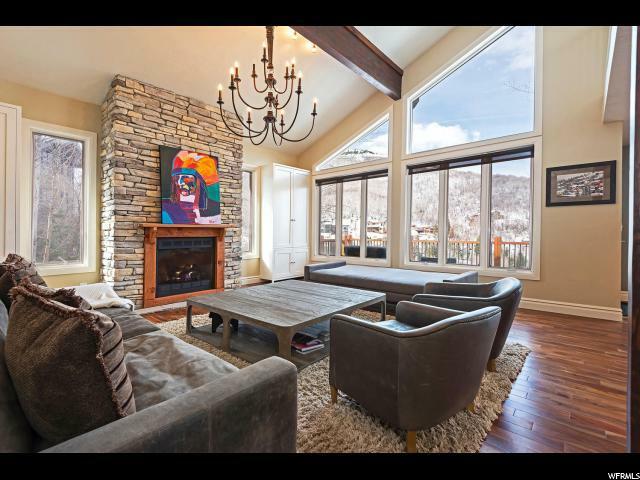 In front of the dramatic stone fireplace is the perfect spot to relax after a long day of skiing, hiking or biking. Floor-to-ceiling windows frame nature all around you in this Upper Pinebrook home. Gather with friends in the informal dining room. The gourmet kitchen is made for entertaining. Top-of-the-line appliances (Sub-Zero, Thermador, Wolf) make cooking a joy. A main level master bedroom features a walk-in closet and luxurious ensuite bathroom with a stunning separate tub and shower. The loft is a fun, spacious gathering place. Views from the Trex deck that span the entire western exposure are spectacular. The lower walk-out level features a second master also with ensuite bathroom. Also on this level are two more bedrooms, a large full bath and spacious family room. Even the driveway on this property is top of the line. Hand-laid pavers are heated with a Laars Hydronic dual boiler system that cost more than $80,000 to install last year. A luxury spa/hot tub on the lower deck with amazing western views and total privacy will be your own little piece of heaven. Call today for your private tour of this magnificent property.